Offering you a complete choice of products which include cool packs. 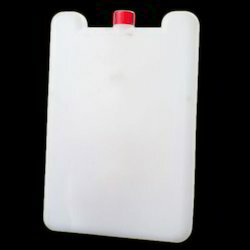 Being the leading names in the industry, we manufacture and supply durable range of Plastic Water Bottles that are non-toxic in nature and are used to easily store the water safely. Clients, can avail these in different sizes and designs. Our professionals manufacture the entire product range as per the set industrial standards and guidelines prevailing in the industry. Furthermore, we offer them at most affordable rates. Looking for Cool Packs ?